We bought our house knowing we would be doing (a lot) of work to it. One area in particular was the kitchen. 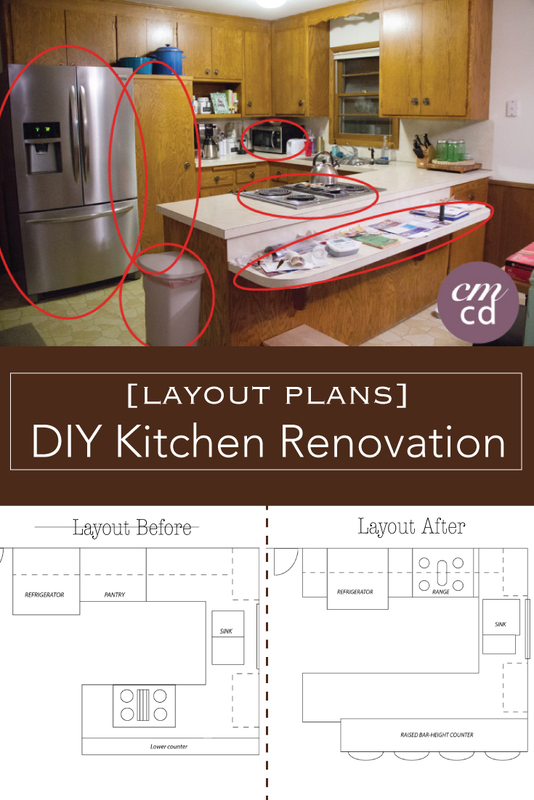 I read somewhere on a blog that you should live in your house for a year with the current kitchen before you go gutting/remodeling it to find out what works and what does not (by actually living in it), hence the kitchen renovation layout plan. As much as I wanted to tear it apart right when we moved in, we knew the whole main floor reno would be a process, so we started to consider what we liked/didn’t like before starting our renovation. Let’s start with the positive (glass half full). The cabinets went to the ceiling maximizing storage = win! The general “U” layout of the kitchen really worked well in the space. With the garage access door where it is, the window above the sink, and the sliding door in the dining area, it really utilized the footprint well. Oh boy, I warn you, it’s a big list. A combination of both function and aesthetics. When you walked in from the garage (to the left of the fridge in the photo above), which is an access we used often, the fridge pretty much smacked you in the face (or so it seemed) since it was right up next to the door. 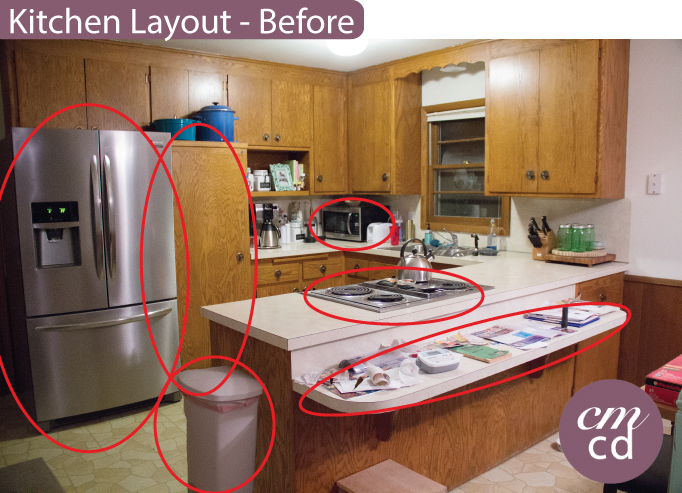 Our garbage that sat out for the world to see (and smell) at the end of the cabinets. Ew. The floor – 60’s yellow/orange faux cobblestone laminate just isn’t a dream of mine. “Shocking” I know. So first thing was first, were we going to gut and 100% start over with new cabinets/layout? Long story short, we decided no. 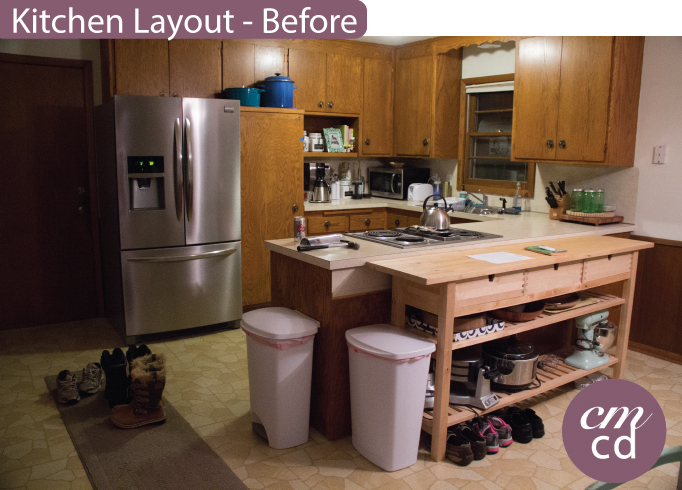 It was a combination of the high cost of new cabinets, and knowing we had real wood solid oak cabinets that were super sturdy and had potential (I KNEW I could save them and bring them back to life!) 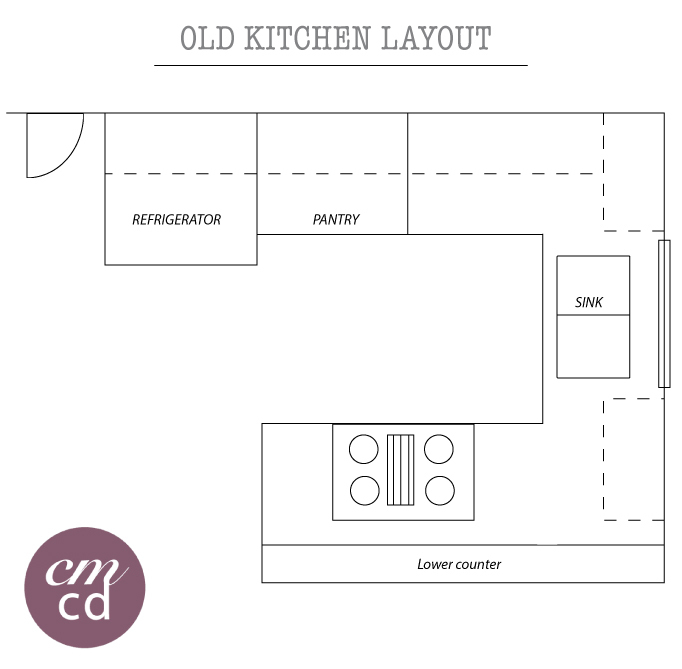 But we did want to change the layout (slightly), so we knew we would be building a kitchen with a mix of ‘old’ and ‘new’ cabinets. Oh boy, here we go. As I mentioned in the list above, you don’t really how much you hate a refrigerator being right next to a door unless you experience it. Our light switches for the kitchen and garage were also BEHIND the fridge so you had to stick your hand behind there to use them. Just silly. 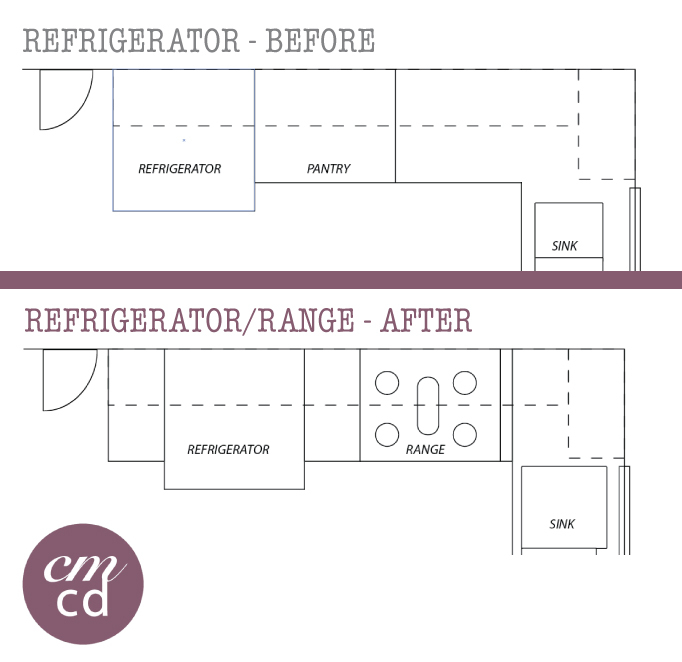 So, we knew we wanted to move the fridge but our layout didn’t lend too many options. Therefore, we decided to slide it inward and put a 1 foot cabinet on either side of the fridge. To the left, there was now the 1’ cabinet right when you walk in the door from the garage (and we can access our light switches!) Also a great spot for coffee cups, charging phones, etc. On the other side of the fridge, it was the buffer between the newly placed stove and the fridge. Our retro Jenn-Air stove used to be on the peninsula side of our kitchen, leaving a scrappy amount of counter space on either side. Not ideal. We chose to move the stove location (and upgraded to a new dual oven, 5 burner gas stove. Swoon! Quite the upgrade) over to the garage wall side to free up much needed counter space. At first I worried that we were extending our kitchen, but I think that now-a-days as compared to the 1960s when the house was built, the kitchen is so much more of a living space and social gathering place than a tucked away secluded area. Therefore, we decided to extend the former peninsula side of the kitchen out to flush with the new 1’ cabinet by the door to the garage. This also allowed us to build a pull out garbage drawer so that we would never have to look at (or smell) our trash cans out in the open (hallelujah!) AND gave us even more counter space, which let’s be honest, you can really never have enough of. Win. Win. I grew up in a kitchen that had a raised bar-height counter and I have memories of sitting there ALL the time. Homework, breakfast, lunch, sometimes even dinner, or just hanging out with my Mom while she cooked dinner (still in the kitchen to socialize but out of the way). I knew I wanted to add this to our kitchen and I’m SO glad we did. I am so excited we are ALMOST done wrapping up our entire kitchen process that has literally taken a year to undergo (in our defense, we did a lot of the work ourselves, and had a baby 🙂 Jaw-dropping before/after photos to come!! Our plans put a counter space to the right as you come in (instead of cupboards in our case) and I am trying to decide if that is worth it. Big difference? Does it really open up the room? Where is your microwave going? I want a range hood but am worried about losing valuable cupboard space. 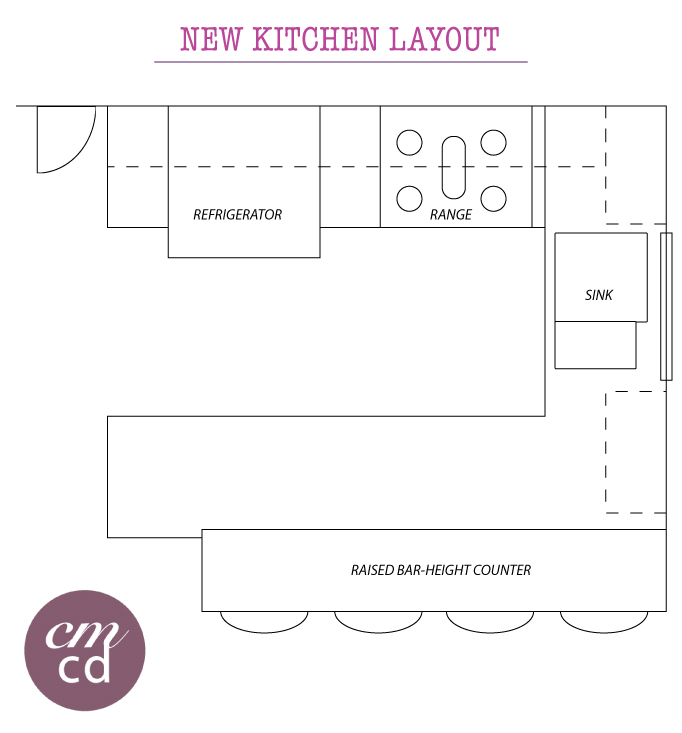 Our plan also widens the counter for a bar height area but then again I don’t want to crowd the table and chairs. We just took down the wall between our kitchen and living room. What a difference! I will email you a picture. Your parents will remember as they have been here many times when my parents owned this house! 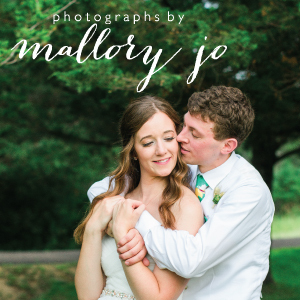 Can’t wait to see the after pics! 2. Great question on the microwave! I have a pet peeve of microwaves above a range (I totally understand it’s functional, but microwaves are just ugly in my opinion and should be tucked away if possible.) You will see in the reveal photos, but we made a built-in shelf in our lower cabinets where the microwave now sits. We didn’t lose any upper cabinet space by putting in the hood, we just put it right below the upper cabinets. 3. When we added the bar I too was worried about crowding our dining area which is right behind that (sounds like yours is too!) I chose to push the dining table against the wall to shift it over as far as I can so the barstools aren’t crowding it.